Konecranes has a long history of working with leading container ports and terminals that operate container lift trucks. 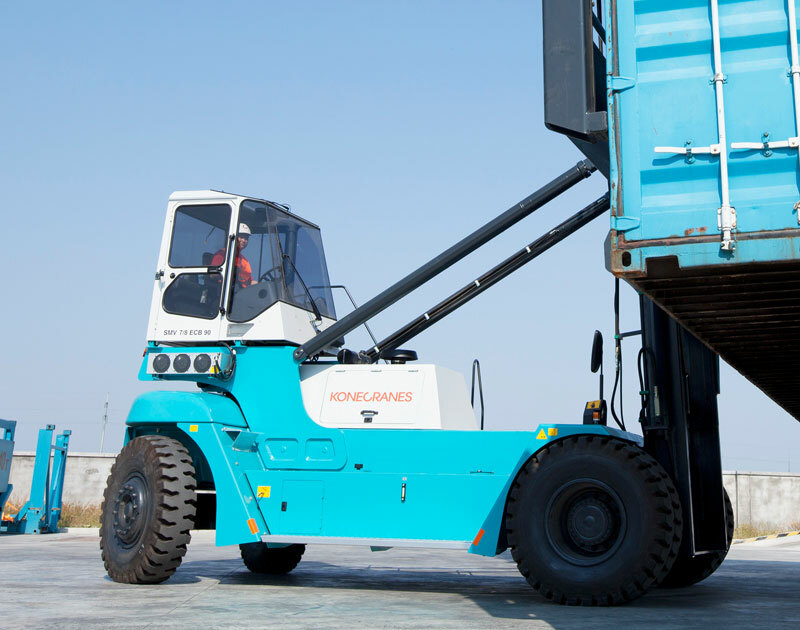 Whether you need an empty container handler or laden container handler, Konecranes lift trucks provide fast operating speeds for lifting, lowering and driving thanks to their load-sensing hydraulics. 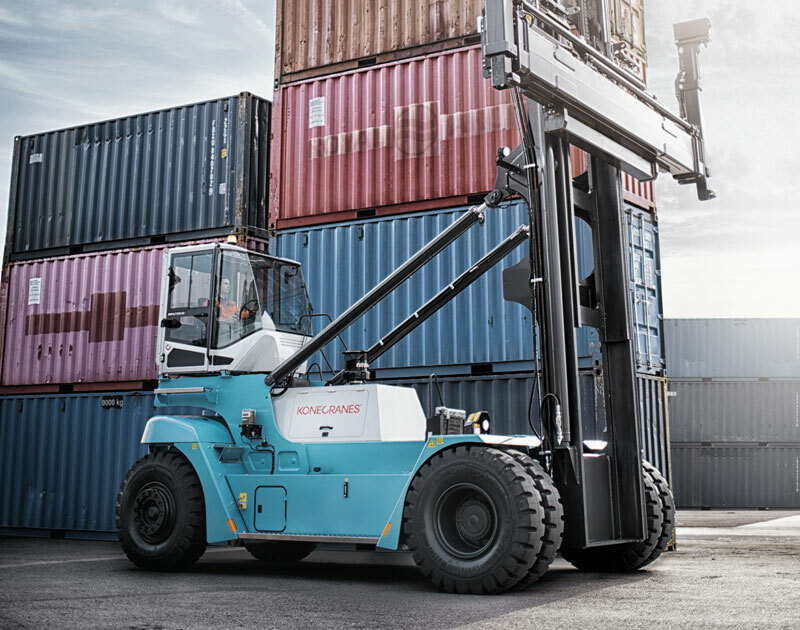 Available in an array of models to match every empty handling requirement, Konecranes 8-10 ton empty container handlers are built with a wide mast which enables you to lift eight containers high. Designed with the smartest technology, these lift trucks provide maximum power only when necessary, reducing fuel consumption. The range has mid-mounted or rear-mounted cabins and excellent stability. We understand laden containers need to be moved with the right balance of efficiency and precision within the container handling process. Konecranes 26 – 46 tonne laden container handlers offer a fast total operating speed and the ratio of lifting capacity to truck size and length is best-in-class.